We understand the inconvenience of going through the elaborate process of making airline reservations. Hindustan Tourism Service aims at delivering relief from all this. 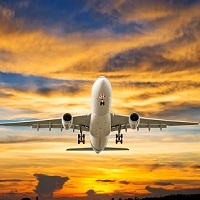 Situated in Ahmadabad, Gujarat, we provide efficient Airline Ticketing Services for all over the world. Just let our professionals know your desired number of seats and they will book your tickets according to the defined dates and budget. We also boast of proficiency in making reservations on an urgent basis. Avail all our services at reasonable rates. Call us today!